Change, like death and taxes, is one thing you can always count on in life and leadership. Especially today in the dynamic marketplace in which we work, we must change or die. Just ask Research in Motion, the makers of Blackberry. 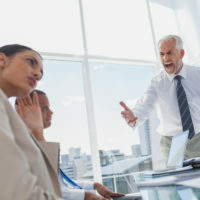 The people dynamics of change, however, are extremely challenging, because we’re asking team members used to doing things one way, to do them in a completely different way. In short, we’re asking human beings to change their habits, a notoriously difficult thing to pull off in the best of times. For example, one of your salespeople always sends long rambling email to prospective customers with half a dozen attachments. This bloated correspondence doesn’t get opened, doesn’t get read, and most certainly doesn’t get responded to. You’ve provided training to the team on how to write crisp, succinct email with a powerful value proposition and a clear call to action. But what does this rep do? He continues to send long rambling email with a half a dozen attachments because that’s what he’s always done. Why? As the law of inertia tell us, a body at rest, stays at rest. And that’s a problem if you’re trying to implement any kind of change initiative as a leader. So here are three keys to disrupting inertia and helping your people change their habits. The reason why most attempts at behavior change fail is because we try to do too much too soon. That’s the thesis of James Clear’s brilliant book Atomic Habits. Contrary to the overnight success stories we hear in the press (which are probably over-blown anyway), Atomic Habits maintains that real change takes place through the “aggregation of marginal gains.” Which is fancy way of saying that a thousand small things add up to one big thing. Something as simple as a 1% change repeated each day over the course of a year will yield 38% improvement (37.78% to be exact). This, then, should impact they way we set goals with our people, breaking them down into even smaller, more marginal steps of action that a person can repeat over and over again again until that behavior becomes automatic and the compound interest of self improvement multiples in their favor. There’s one problem with compound interest, however. It doesn’t provide an immediate reward. That’s why we’d rather buy a newer version of the completely serviceable car we have, than put more money into retirement savings. That’s why we’d rather down a third beer and the rest of the pepperoni pizza, than push ourselves away from the table. The immediate pleasure we get in the moment from those actions outweighs any distant, future benefits. So the second key to behavior change is giving attempts at developing a new habit an immediate reward until it becomes automatic. This rewires our brain to enjoy the new behavior right away and not rely on the uncertainties of delayed gratification. My running coach, whom I hired to help me run a half-marathon, did this to get me to do crunches (which I hate). Core strength is critical for long distance runners because when your core breaks down, your body bends over, you breathe less deeply, and you start to shuffle down the road instead of run. At the end of most any marathon or half marathon, you’ll see some poor soul whose core collapsed hobble across the finish line in agonizing pain. But that benefit was so far out in the future for me that I remained completely unmotivated to do even one abominable crunch in my workouts. During our weekly check-in’s, my coach would ask me how my crunches were going, and week after week I reported to her that I hadn’t done any. Now intervals are the second most miserable thing you’ll ever do in preparing to run a marathon, and this reward got my attention. I did my crunches. The next week she had another reward, and the week after that another. Pretty soon I was doing crunches as a regular part of every workout. Here’s the point. If you’re going to be successful in changing the behavior of your people, breakdown the activities you want them to do into small, incremental steps. Find fun, creative ways to instantly reward those steps, rewiring their brain to make those behaviors automatic. A shout-out at a meeting, a Starbucks gift card, Friday afternoon off, all work wonders. Automatic, that’s what a habit is. It’s something we’ve done so many times that we do it without thinking, like driving to the office on the same route everyday or checking Facebook for no apparent reason. This is what you want as a leader: for the salesperson who sends long rambling prospecting email to write crisp, succinct ones, and to do that ten times a day, every day. When this happens, you’ve broken the frequency barrier with that rep. Breaking the frequency barrier occurs when an activity has been repeated so many times that it becomes automatic. When someone breaks the frequency barrier, they’ve mastered a habit. It’s now second nature to them. There’s a common misperception about this, however. 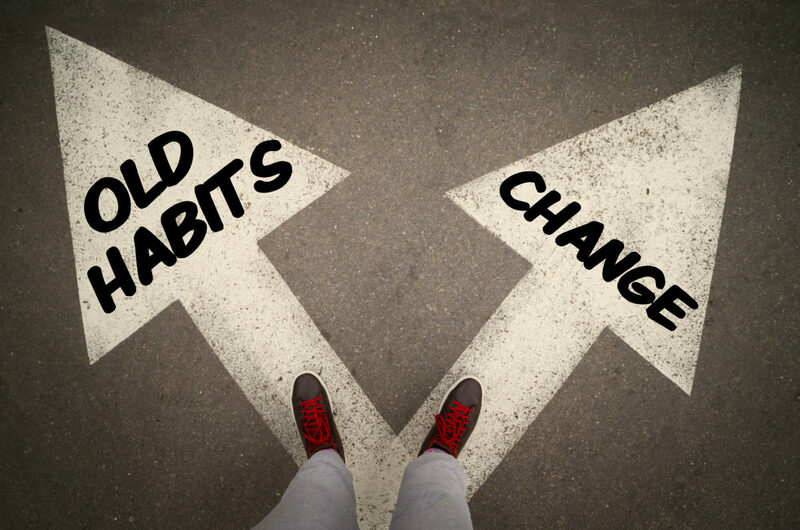 Have you heard the claim that it takes 21 days to learn a new habit? That’s not true. It’s a myth. Somebody made it up (maybe somebody selling 21 day habit planners). Yes, time is a factor in acquiring a habit, but so is repetition. Without enough repetition, no activity will become automatic, even though a 21 day time period has passed. Inputting a code into the office security system so an alarm doesn’t go off may take five repetitions over five minutes to master. Writing a succinct sales email that results in a first appointment may take hundreds of repetitions over months to master. That’s how the formula works. Use this formula to your advantage by defining in detail the activities you want your people to do. Get them doing these activities as frequently as possible, providing immediate rewards along the way. Be attentive to the degree of difficulty and give your team the time it needs to master new sales skills. Now rinse and repeat. MORE: What’s Your Degree of Sales Difficulty? Finally, there’s a danger to breaking the frequency barrier and the danger is this: complacency. When you do something automatically, you can do it without thinking, operating on autopilot. That’s how mistakes are made. That’s why you left your house the other day and drove to the office when you were supposed to pick the kids up from school. A habit kicked in and your acted without thinking. Wise leaders, then, keep things fresh. They’re always bringing new challenges to the table. They don’t let their employees settle into a rut, asking for a little bit more or to do something a little bit differently. This keeps their people in the stretch zone and helps them continue to be their very best.